I love it when a guitar configuration appears more simple than it is. Usually it's the opposite. Godin's Progression Boutique USB appears to have only 2 knobs and 1 standard 5 pos switch. However, this guitar also switches to active pickup mode, and has a USB output for direct recording. And even though not everyone cares for these extras, ya gotta dig the clutter-free appearance of this model! 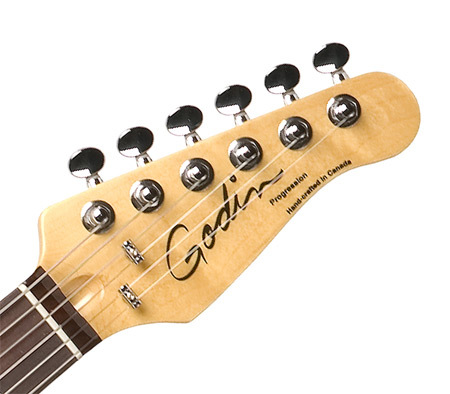 Traditional players can appreciate the use of top woods and hardware, and great fit and finish Godin is known for. And all for under $1K less shipping. Pretty good for a guitar made in N. America. Besides the black trans quilt finish above, these come in a few other nice natural finishes.